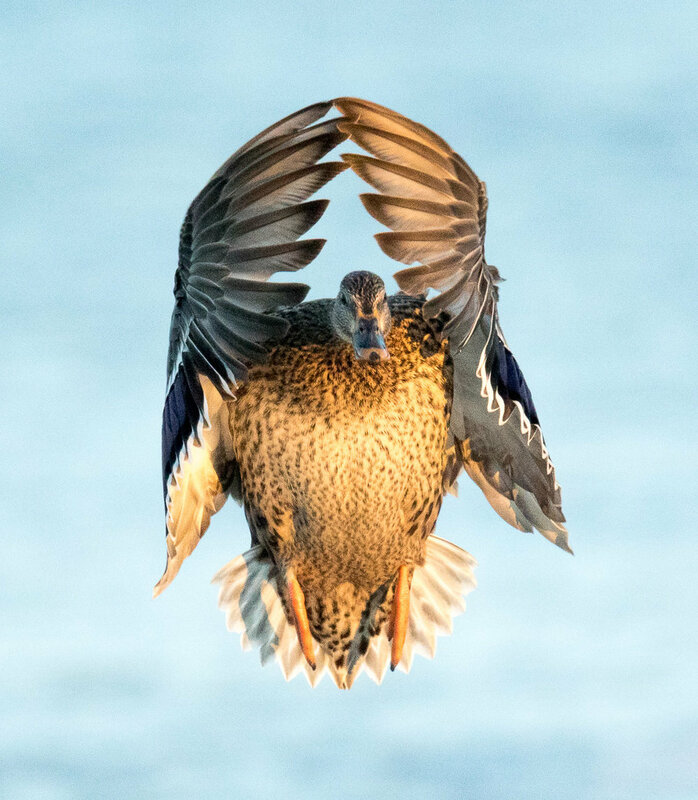 We will spend two nights in Cambridge, MD where we will spend time intensely photographing ducks on the Choptank River and all kinds of waterfowl at Blackwater National Wildlife Refuge. You will be amazed at how close you will be to hundreds of ducks on the Choptank River (see one of the photos above). 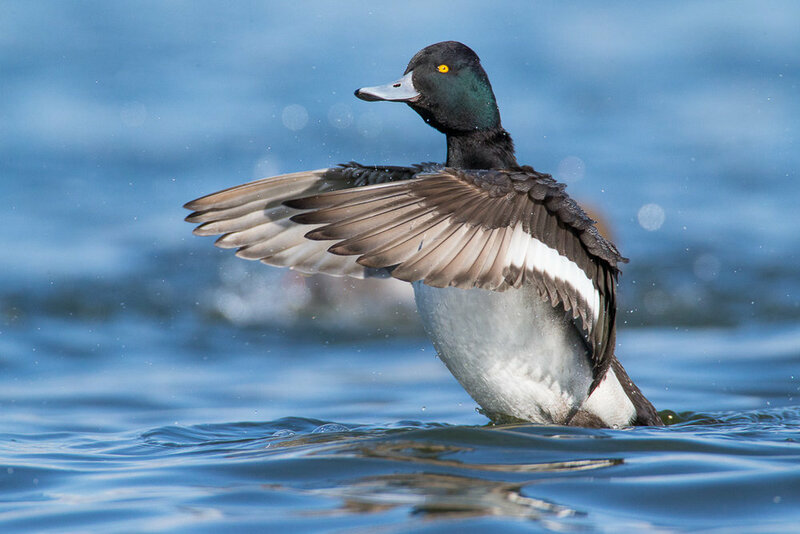 Here (although completely optional), you may want to don chest waders in order to photograph at water-level (eye-level with the ducks). If you choose not to do this you can sit comfortably, at the edge of the river, on the rocks or in a chair/stool or stand. At Blackwater NWR, you will likely have the opportunity to photograph a large flock of snow geese, tundra swans, ducks and lots of bald eagles. We will spend our third night in Rehoboth Beach, DE (some years, it may be Barnegat, NJ) where will photograph sea ducks along the coastline and around some of the inlets. While here we may, in some years, have excellent opportunities to photograph short-eared owls or snowy owls. Although you can get away with a 300mm lens at the Choptank River, you will want a 500mm or 600mm for all other locations. You should also bring along any tele-extenders that you may have. Make sure you also bring along plenty of memory cards because you will take more pictures than you ever have before. At times, the action can be non-stop at these locations. 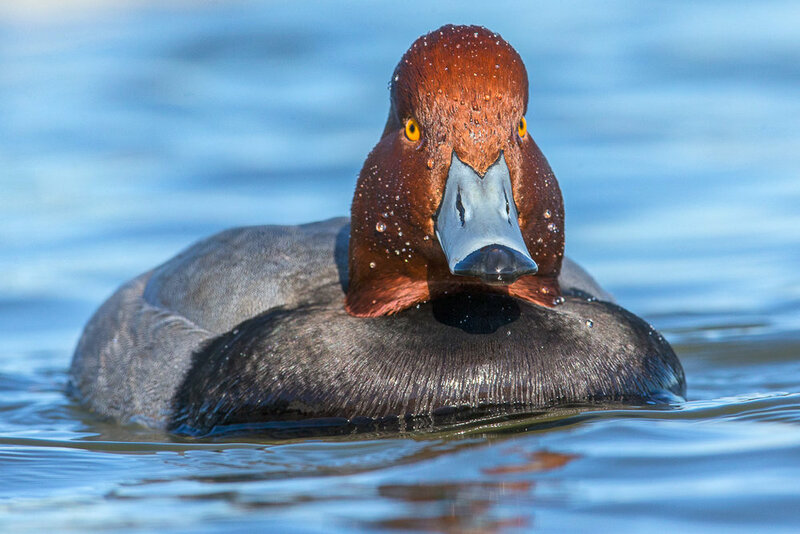 If you like to photograph birds (especially ducks)…this is as amazing an experience as you will ever have! We will meet at noon, have lunch together and then proceed to photograph at the Choptank River. We will likely eat dinner together after the sun sets. Lodging will be in Cambridge, MD. We will depart before sunrise and the morning will be spent photographing at Blackwater National Wildlife Refuge. We will take a short break during the middle of the day where you will also have the opportunity to review images together. The afternoon will be spent back at the Choptank River to photograph ducks in perfect light. Lodging will be in Cambridge, MD. Again, we will depart before sunrise, but our morning destination will be determined the night before based upon photographic conditions and participant interest. In the middle of the day we will convoy over to Delaware. The afternoon will be spent photographing sea ducks along the coast. After a pre-sunrise departure, we will photograph sea ducks along the coast. We will finish the trip by 10 am.